Priva Technologies, Inc. has launched its new Flex Pass program that provides travelers with fast-track access to airport security checkpoints, Bill Sibert, president of Priva, announced today. 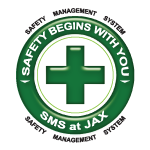 “We will be rolling out our Flex Pass initiative nationwide over the next several months and throughout 2012 after a successful startup over the New Year weekend at Jacksonville International Airport,” according to Sibert. Users present their Flex Pass IDs at designated fast-track lanes when they arrive at the airport and move directly to TSA screening stations. Frequent flyers may purchase annual membership in the program online at [www.go-flex.com] or at Flex locations at the airport. Flex Day Passes are also available allowing leisure travelers to avoid the longer, standard security lines. “Purchasing an annual Flex Pass or a Flex Day Pass is an easy, non-invasive process. A minimum of information is requeste—the user’s name, home or business address, email address and a credit card. You do not have to provide any personal information beyond that; nor do you need to be subjected to biometric scans,” says Sibert. A Flex Pass Annual Membership costs $150 per year, but Priva offers an introductory rate of $100 per year. The Flex Day Pass (valid for one day’s usage) is $20 per day. Priva says it is in various stages of negotiation with a number of “undisclosed airports” with the goal of establishing and expanding a Flex Pass network throughout the U.S.
“Providing an outstanding, innovative airport experience for our passengers is a top priority and Flex will provide a new level of convenience. 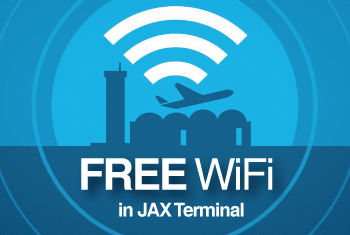 We are pleased to be working with Priva Technologies to bring Flex to Jacksonville,” said Steve Grossman, Executive Director/CEO of the Jacksonville Aviation Authority. Flex Pass is the newest consumer offering from Priva Technologies, Inc., a provider of advanced authentication technologies and transaction processing solutions for a variety of government, enterprise, and consumer markets. The company was founded in 1999 and is a leader in the field of identity verification. Founded in 1999, Priva Technologies is a privately-held Delaware Corporation that specializes in the development of advanced hardware and software-based authentication security platforms for the government, enterprise, transportation, and retail markets. Priva Technologies' flagship product, the Cleared? Security Platform, is the most comprehensive and powerful authentication solution available today. For more information, please visit www.priva-tech.com.